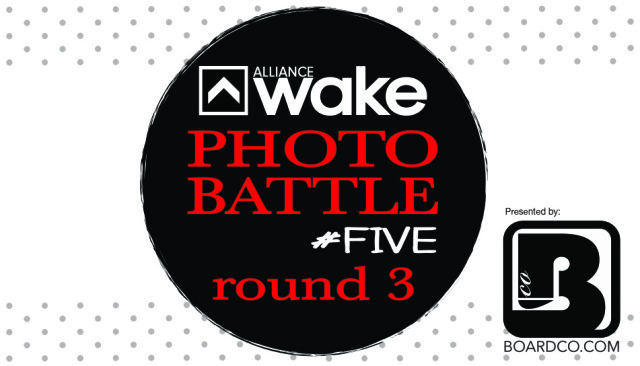 After last weeks win by Peter Vahlfridsson in Round 2, Round 3 features two great photos. The first is of Edan Fletcher performing a nose grab roll from a good angle. 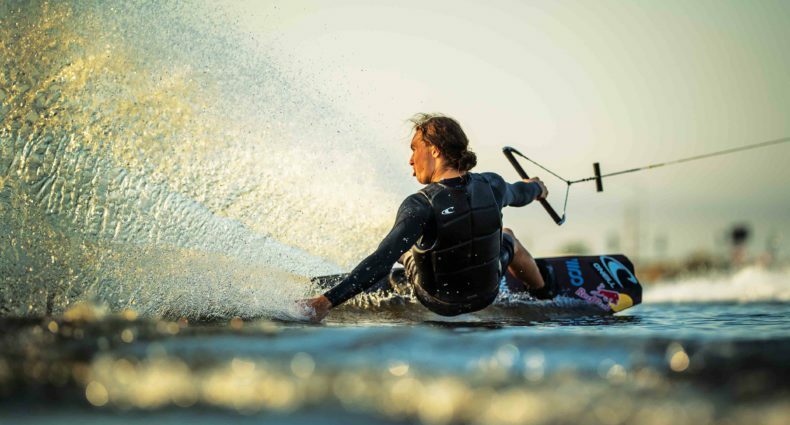 Taken by Mark Metzmaier, this shot is great either shooting from a tube or something towed. 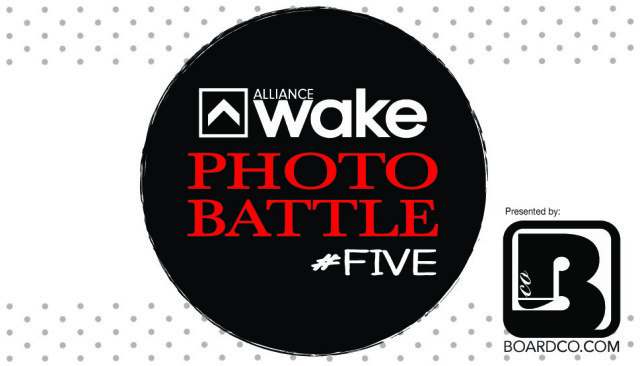 The second photo is of Graeme Burress at Wake Nation Cincy. Taken by Tim Spanagel, the lighting really makes this photo stand out. Wich Photographer Deserves To Move On? photo 2, not even close. Definitely Photo #2, although I wish it was a little bit more clear what trick Graeme's doing in that shot. Definitely photo 1. First off cable is easy and easy to photo. 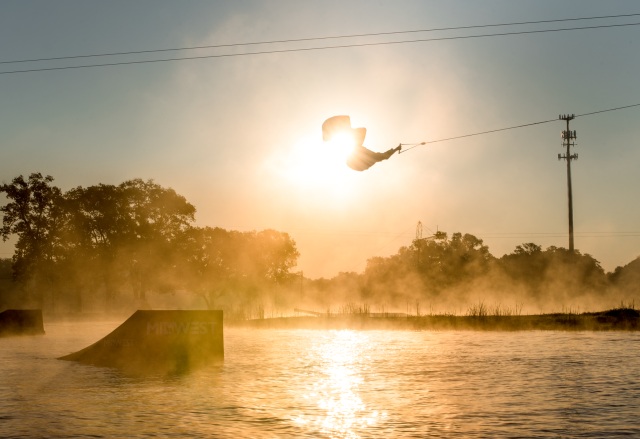 The kid could be doing a straight air, we can't even see him. This isn't a sunset photo comp. Photo 2 for sure. Seen photos like the first hundreds of times. @josh sorry sunrise. Makes no difference can't see the rider. That's a great picture of a jump and handle. yea it's easier to get a shot a the cable, but in shot one the camera isn't even level. Any kid with a tube and a gopro can get these shots. It's obviously not a straight air as the board is over his body. With pictures the simplest tricks look the best, so if he was doing a straight air it would still look dope. Capturing the early morning fog and light makes it head and shoulders above a tilted frame mid day tube shot. It's a best photo contest and 2 is clearly better. @chad getting early morning fog and light is not hard chad. I can get you those everyday. Photo one looks unedited and real. Plus riding boat is way better than gay cable.